WaveLight EX500 is the most advanced and the latest excimer laser approved by the FDA for performing Custom Wavefront LASIK and Topography-guided Custom Ablation Treatment (T-CAT). It is the fastest excimer laser at a speed of 500 Hz. 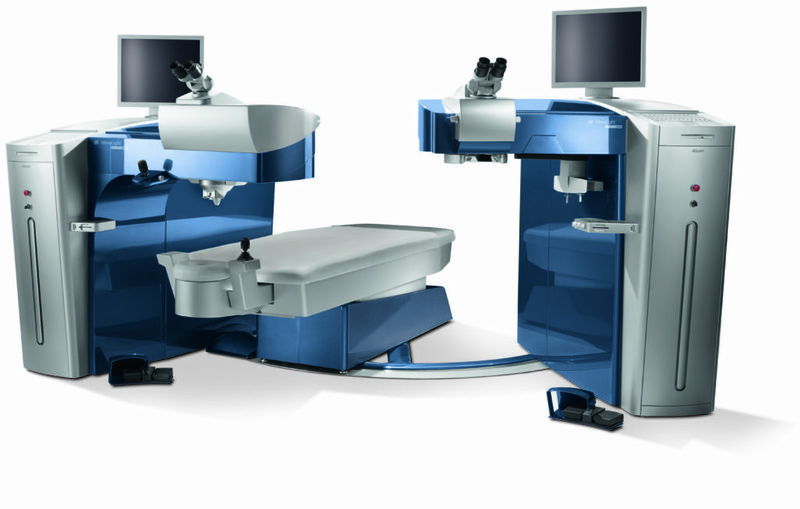 The fastest speed, the highest precision eye tracking system that incorporates iris recognition, and capability to perform Topography-guided LASIK are all distinctive features of WaveLight EX500 that enable perfect laser sculpting of the cornea during LASIK surgery. The above features significantly reduce fixation fatigue, minimize corneal dehydration, and enable perfect centration during laser ablation. Excel Laser Vision Institute is always on top of the latest technology when it comes to corrective eye surgery in Orange County and Los Angeles. 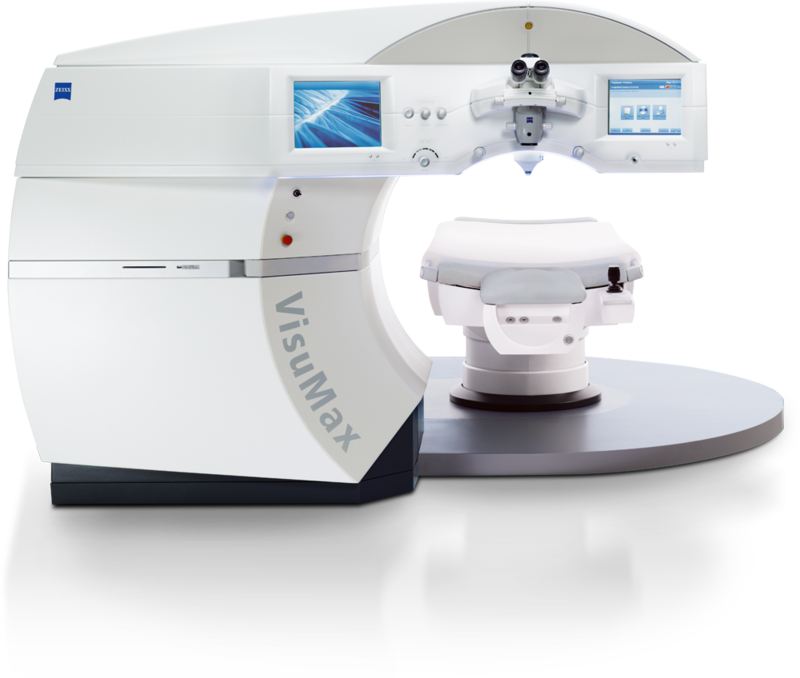 The new VisuMax® laser is a ground-breaking laser system that utilizes outstanding precision. It will get you done with your Lasik eye surgery before you know it. The VisuMax® laser is characterized by its speed, gentle technique, and outstanding precision. It is an ideal platform for cutting-edge corrective eye surgery in Orange County and other areas within Southern California. In areas within California, such as Los Angeles, Lasik vision correction makes up a high percentage of refractive procedures. Excel Laser Vision Institute is your laser eye surgery authority. 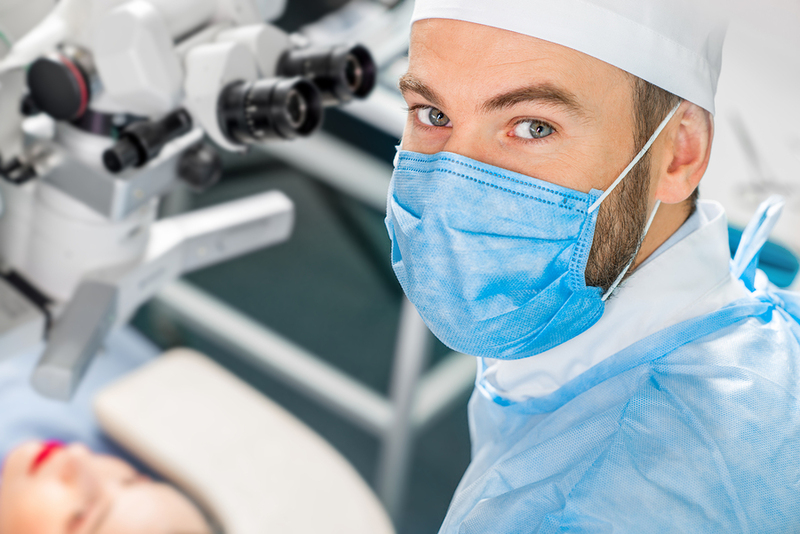 We cover everything you need to know about Lasik surgery –i.e., cost, safety before and after surgery, among others. SMILE uses a laser to create a thin contact-lens-shape layer just beneath the surface of the eye and then a small opening through which that layer is removed, correcting your vision. What makes SMILE different from LASIK? Laser vision correction helps correct vision that is farsighted, nearsighted or has astgmatism. During the procedure, a laser gently reshapes the cornea so that light focuses better. Millions have been helped by PRK and LASIK. Now we’re offering patients SMILE, a minimally-invasive procedure with little downtime. Our surgeons and staff will help you determine which option is best for your eyes. ALLEGRETTO WAVE’s revolutionary approach to laser vision correction minimizes problems associated with older generation lasers, such as night vision reduction, glare, and halos. The success of the ALLEGRETTO WAVE can be directly measured by our patients’ remarkable improvement in visual acuity and low occurrence of side effects. Smart energy control and eye tracking technology combine to provide an ultra-fast solution to laser vision correction. Innovative and redundant safeguards make ALLEGRETTO WAVE a leader in the field. When it comes to Lasik surgery, one of the top features of ALLEGRETTO WAVE® technology is the way it uses wavefront-optimized technology to compensate for curves of the cornea automatically. In earlier Lasik correction devices, the “optical zone” also known as the area of correction, was located on or near the front of the cornea; the result was a nearly flattened area that ended with an abrupt edge. This has the potential to cause unwanted effects, such as poor night vision, glare from light, and halos within the vision. Due to the remarkable speed of both the eye and the ALLEGRETTO WAVE® procedure, the laser beam needs to be constantly and closely adjusted to the position of the eye at any given time. 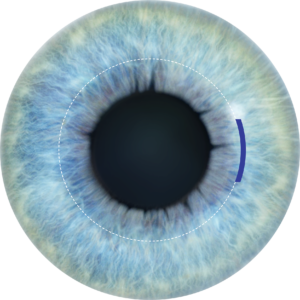 Every 4-6 milliseconds, the eye’s location is measured, and the internal mirrors of the ALLEGRETTO WAVE® are automatically aligned. Right before the pulse is released, another eye check is conducted to confirm that the eye has not moved. This happens 200 times every second, once for every laser pulse released. If at any time, the eye moves out of range or too quickly to be measured, the laser will stop and wait for the eye to move back into position. The ALLEGRETTO WAVE® is a device that is capable of producing in some of the biggest optical zones. The optical zone is a portion of the cornea that has been corrected by the Lasik. An area larger than a normal optical zone is important because it helps with night vision and for those patients with large pupils. A patient’s pupil can be larger than the optical zone, in which case, they can experience reduced peripheral vision, potentially poorer vision at night, and a higher incidence of halos and even glare. ALLEGRETTO WAVE®’s revolutionary approach to laser vision correction minimizes problems associated with older generation lasers, such as night vision reduction, glare, and halos. Smart energy control and eye tracking technology combine to provide an ultra-fast solution to laser vision correction. Innovativeness and extreme safeguards make ALLEGRETTO WAVE® a leader in the field. LASIK uses a laser to reshape the cornea or the clear, round dome that is around the front of your eye. This treatment is pain-free and can be completed within 15 minutes for both eyes. – A corneal flap is made with a laser or blade. – A gentle laser reshapes the cornea, resulting in clearer vision. – A small opening is made in the cornea. – A small layer is removed, resulting in clearer vision. "See the Future Clearly". Dr. Moosa of Excel Laser Vision Institute has performed tens of thousands of LASIK eye surgeries and is considered one of the leading laser eye experts in Southern California.